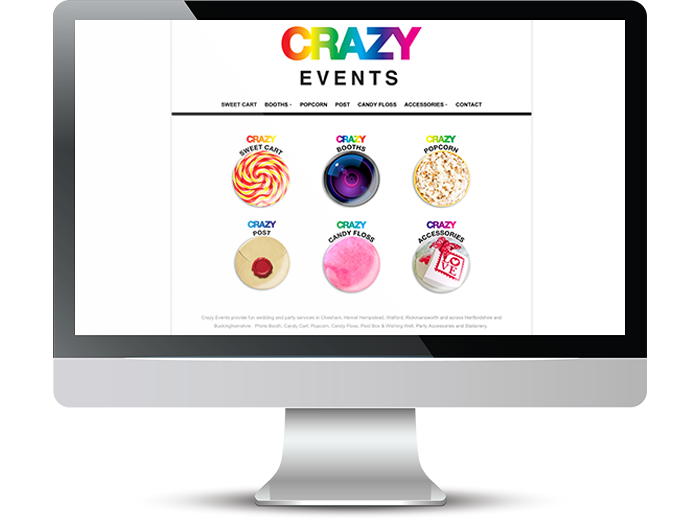 Crazy Events were extending their business and their existing website was difficult to update and was no longer working effectively for them. I was comissioned to build a new sited which was easy to update, SEO optimised, responsive and able to expand with their business. Design elements were developed by their existing graphic designer and incorporated into the new web design.